Now, I can proudly say that is a reality, and I’m still pinching myself. A year ago today, I was inspecting residential properties, skyscrapers, factories, construction sites and pipe trenches for asbestos, lead, and mold. Believe it or not, there was a lot of downtime for this type of work in between the hustle and bustle. I’m sure you’ve seen 10 construction workers on the side of the road while two guys are doing all the hard labor. That’s called safety folks! I was not one to sit idle in my downtime on the job site. I’m the type of person that likes to stay busy, learn and contribute to the world. Through family and friends, I learned about the ever-growing world of UX and UI design. It wasn’t long before I realized that my passion for design worked equally well in the digital world as it did in the real one – and with a couple of art degrees from my past college years, I was determined to find my next venture. I began studying this new digital world through websites like Udemy and YouTube, which offer great lectures and tutorials. I was also turned onto Medium, specifically the UX collection, which is full of insightful blog posts that provide a glimpse into the tech world, and some of the pros and cons of the mobile app development industry. I spent almost a year learning from lectures, tutorials, blog posts, testing mobile apps, studying design and visiting tech fairs. By putting myself out there – I found Shockoe. I was able to get my foot in the door to prove to a fast-growing company that I had something to offer, something to contribute to be successful. What I’ve found most valuable working with an up and coming tech company is that they’re looking to give you a shot at succeeding. If you have the right attitude and perseverance to prove that you can contribute to the larger picture, are willing to learn and adapt and believe in high quality apps that are well thought out and intuitive, then you can find great opportunities. This is the core belief in creating enterprise apps at Shockoe. I can tell you one thing, sitting idle and watching time go by will likely keep you out of the tech world and farther from your fuller future. Instead, pull out your phone and enjoy critiquing what you love most about your favorite Android and iOS apps. Since I’ve been working at Shockoe, I’ve learned a lot about working as a team and how important transparency is among our peers so our ideas and our skills can be utilized appropriately or improved upon. We are creating positive user experiences by listening to our clients, thorough testing and well thought out designs with the user and their tasks in mind. If you’re ready to be apart of a team of hard workers looking to improve the world, look no further. 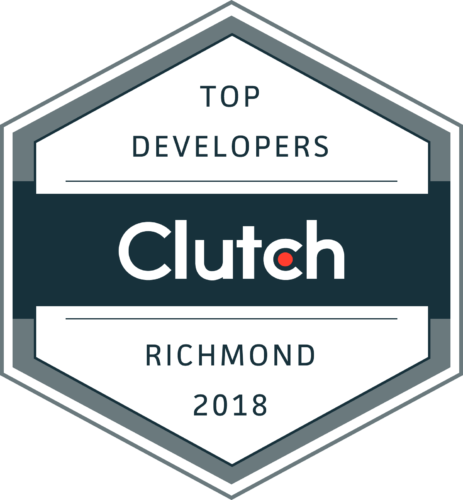 Shockoe needs great minds like you to bring your vision to the world of mobile enterprise app development. Start watching videos on YouTube and reading to learn what makes a great UI or exceptional UX (or even what those acronyms mean). Ask yourself, what works well and what might you do to improve them? You could be the one to join our team and create the next best idea.